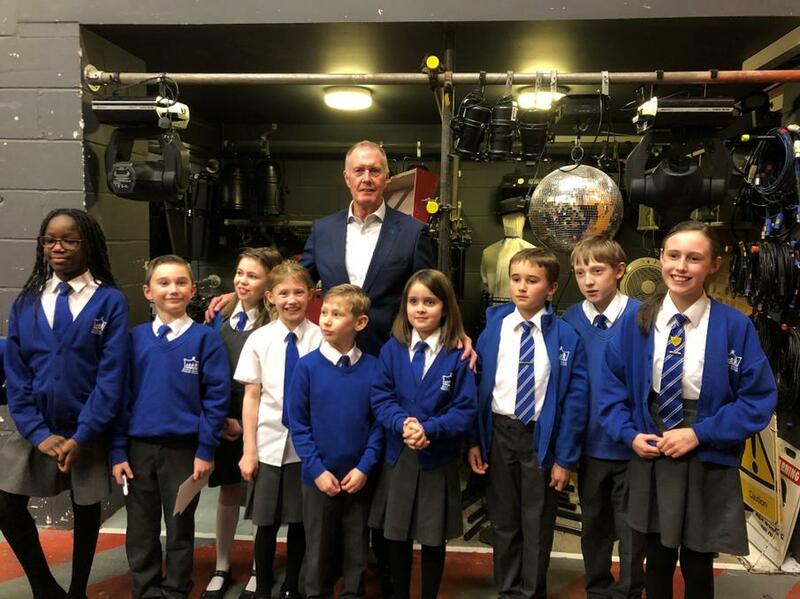 Our Chair of Trustees, Izy Bailey managed to secure a visit for some of our children in Key Stage two to meet the ex West Ham and England football player, Sir Geoff Hurst on Wednesday evening at The Civic Theatre. 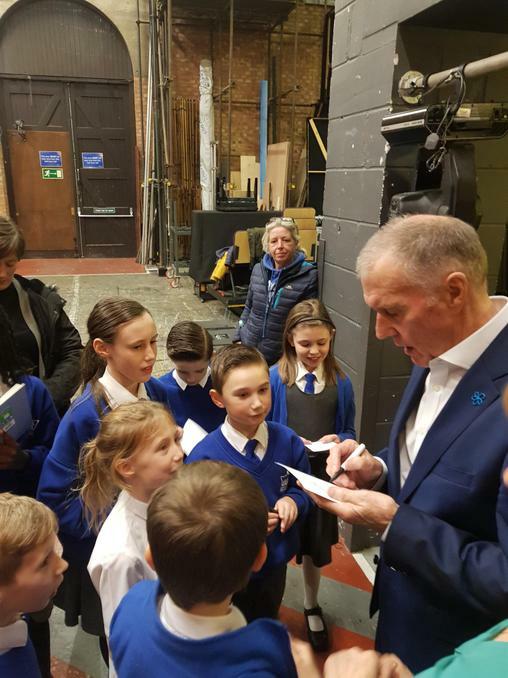 Sir Geoff spent about 15 minutes with the children, and parents, signing autographs and chatting about his time at Kings Road. He was pleased to hear one of the houses was named after him - he said he had been in the yellow house and the houses were named after arctic explorers in his time. He commented on the core values too and recognised the school symbol. Sir Geoff spoke warmly about his time at Kings Road.